Life doesn’t get boring the moment you say “I do” — in fact, it’s about to get much better. No more Tinder, for one, so you’ll now actually have conversations that stretch deeper than your upcoming promotion at work and the sweet deal you found on that uptown apartment. Getting married also means that you can take that trip to the one destination that you and your partner lie in bed at night talking about. And, you don’t even have to pay for it — your friends and loved ones will gladly foot the bill. All you have to do is trade in that wedding registry for a honeymoon registry. It’s the ultimate way to Marie Kondo your wedding, because how much joy is that new toaster actually going to spark? 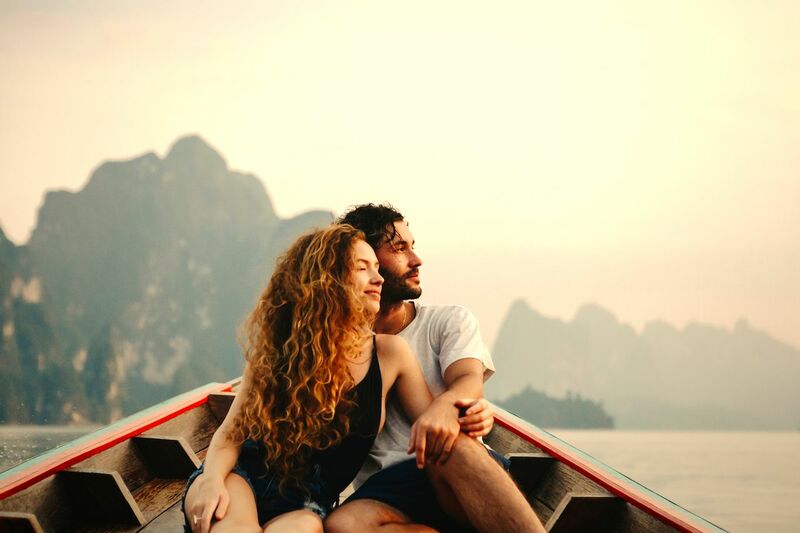 Here’s everything you need to know about registering for your honeymoon. A honeymoon registry is pretty simple to set up. There are a number of sites where you can register, Honeyfund being the most well-known. The process is similar to running a Kickstarter or GoFundMe campaign. Create your account and you’ll be prompted to build items that wedding attendees can donate toward. The more you have the trip planned out in advance, the smoother this process will go. Try to develop a general idea of how much the trip will cost, and break the items down with the goal of reaching that amount. 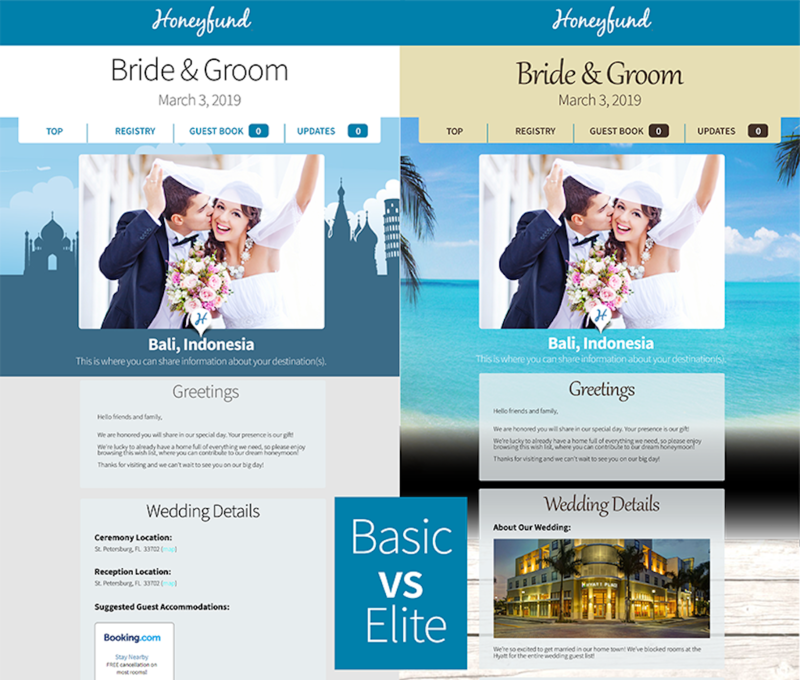 Unlike Kickstarter, Honeyfund won’t leave you empty handed on your wedding day if your effort falls a bit short — you get the money whether or not you reach the total goal. Once you’re ready to send out the registry, you can direct people to your campaign. They can then select which item they’d like to donate to. Don’t freak out if you’re two months from the wedding and only 25 percent funded. People are procrastinators. Plan to see a rush of donations in the final weeks, even days, leading up to the close of your campaign. Campaign timing is where the process can get tricky, depending on how soon after the wedding you plan to leave for your trip. If you’re taking off the next morning, be sure to close the campaign early enough that you get the money in time to book your travel. If you want to leave the campaign open until closer to the wedding day, your trip may need to be a delayed honeymoon unless you can front the costs and then repay yourself when the campaign funds come in. The registry shouldn’t cost anything to set up — if a site tries to charge you an upfront fee, you probably want to consider shopping around. Honeyfund, for example, only charges you on the backend when you receive the money, and even that is dependant on how you receive it. For example, if you want a direct deposit into your bank account, the fee is 2.8 percent plus 30 cents per deposit. On a $100 deposit, you’d pay $3.10. This is likely how you’ll receive the money, though there is a hack you can employ — if someone wishes to write you a check or give you cash instead of donating through the site, you can handle that offline and avoid any charge at all, and then mark the cost toward your end goal manually in your account. People want to donate to specific parts of your trip. Part of what makes buying a wedding gift satisfying is that the gift fulfills a specific need that the couple has. You should adopt this same mentality with your honeymoon registry. People are far less inclined to donate into a general pot than they are to donate toward one thing, like a night in the honeymoon suite or a safari tour. They’re giving you money, so give them the satisfaction of knowing what it’s for. Sit down with your partner and list out your itinerary with notes on how much each step will cost, and then create the registry around it, from start to finish. Make sure there are multiple levels of donations. Consider noting on more expensive items that you aren’t expecting someone to pay for the entire cost, but that multiple people can donate toward the item, for example, your airfare or the cost of an all-inclusive resort. Then, create items that are smaller like a dinner or a museum tour. Having fun options like a splurge on street food is a good idea too because it gives someone the option of donating a small amount and knowing that, in theory at least, that’s where their money went. Get ready to explain your trip over and over. Planning a wedding is all about answering a seemingly endless list of basic questions. Unfortunately, a honeymoon registry only adds to the list because odds are your relatives are much more familiar with the process of buying a new set of dishes at Bed Bath & Beyond than they are with taking a night train from Bangkok to Chiang Mai. When that’s what their $50 is going to, they’re going to want to know how it works, how you’re going to book the tickets, and whether it’s safe, and your ability to fund the trip depends on adequately providing them answers. They’re also going to want photos of you on that train, so be sure to snap plenty throughout your trip. 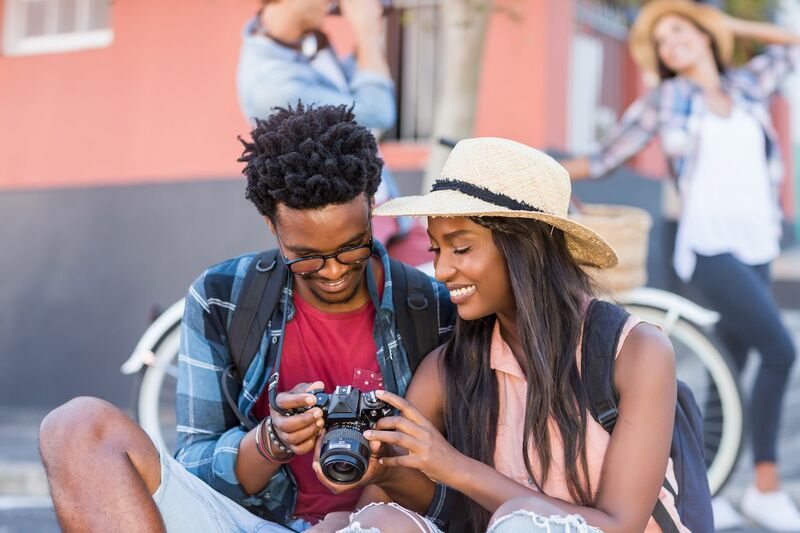 You can minimize questions by getting as thorough as possible in the descriptions of your itinerary items, but don’t count on avoiding the confused looks and questions (and possibly some judgment at your life choices) altogether. It’s inevitable. The money comes in one of several ways. For donations that go through the site, you can either have the money deposited into your bank account or in some cases it can go directly to your travel agent. You can also sometimes shop through the registry site with its specific partners to score a deal. 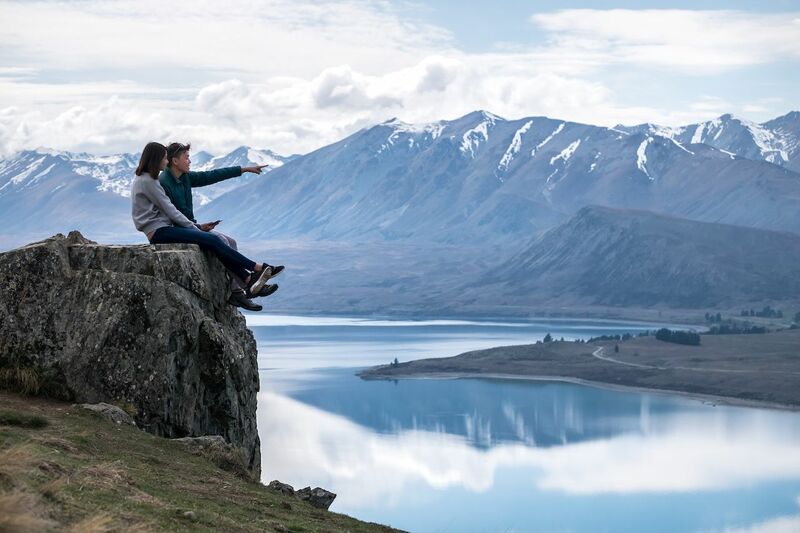 Guests can, in some cases, buy you gift cards or directly organize a part of your trip through the registry site, though it’s important to remember that the more streamlined your process is, the easier it’s going to be for you when it comes to booking and executing your trip. Having one lump sum of money after your campaign is often much more convenient than dealing with an amalgamation of gift cards, donations, checks, and booked tours. Plus, it gives you and your honey total control of booking your trip, and after the chaos of planning the wedding itself, control might not be a bad thing to have.